I’ve been getting some emails with questions about kitchen and cooking stuff lately, so I thought rather than replying individually, I’ll post the answers here. Today’s “question” is more a conglomeration of different ones about what kitchen tools I use, why, and which are the best buys. 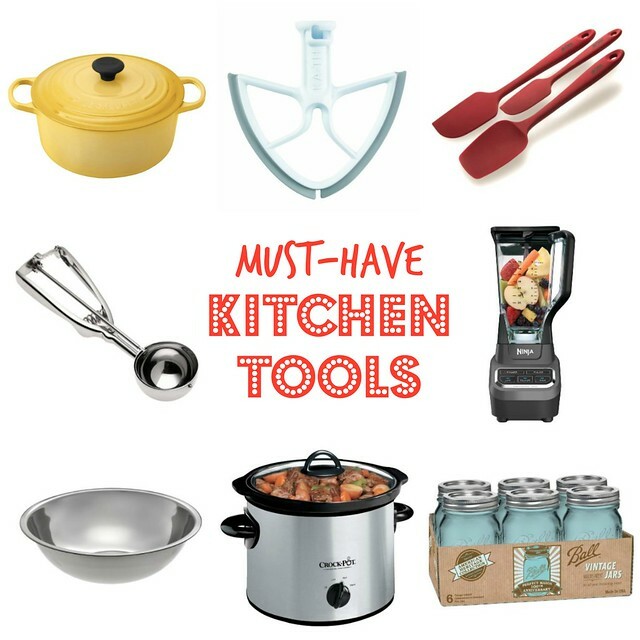 Here are my top picks for things I use most every day in my cooking and baking. I bake something almost every day. So, I use my BeaterBlade (sold for 4.5/5 quart + 6 quart mixers) almost as often. I used my KitchenAid mixer’s blade so much the paint started coming off. And I’ve had the BeaterBlade for at least four years -- heavy use -- with no problems. Every food blogger has a blender preference. Healthy living bloggers, in particular, can’t live without Vitamix or Blendtec blenders, and I so wish one of those was in the budget for us. The thing is, we’ve been using our Ninja Blender for the last five or six years . . . and it’s still going strong. I’m able to blend greens, even tough kale, into smoothies. Soups are quite easy to pulse together. I’ve even made juice with my blender, etc. All for hundreds less than the other machines. Whether it’s smoothing out brownie batter or mixing together stir-fries, I use each my silicone spatulas -- I have four of them -- pretty much every day. I got my set at Kohl’s, but wherever you find them make sure to get the ones that are all one piece. That way there are no grooves to catch gross leftovers, and they’ll clean in a breeze. The ones in the link are heat-rated to 450 degrees F -- so check to make sure any you consider can stand up to whatever you plan to create. I waited the longest time to buy a large dutch oven because of the price. It seems like ever since I did, more and more have been popping up at stores like Home Goods, TJ Max, etc. -- at good price points. You can also find some online ranging from the luxury editions (Le Creuset 5-1/2 Quart at $299) to the budget-friendly (Lodge 6 Quart at $70). I make bakery style breads in my dutch oven, along with simmered soups and stews. They’re incredible versatile and should last a lifetime. Of all our kitchen gadgets, the crock pot comes in the most handy year-round. The one we use -- an old Rival pot -- was given to me by my mother-in-law. Nowadays you can get a variety of slow cookers that can be programmed certain ways and others that have more than one pot for cooking or heating multiple meals. As I type this, I can smell the corn chowder I’ve tossed together for dinner simmering beautifully. Somewhere along the way, I picked up a baking/ice cream scoop that I use to portion out my cookies. I also use the scoop to portion veggie burgers and other patty-like edibles. You’ll notice these guys come in different sizes, ranging from 1 tablespoon to 4 tablespoons (mine is the biggie!). Of course, you don’t need this tool, but it sure makes life easy with the sliding band that releases the cookie dough or ice cream or whatever else you’ve mixed together. We use our Ball jars of all shapes, sizes, and varieties for a number of purposes in the kitchen. We store a lot of our bulk foods on exposed shelving in extra tall wide mouth jars for easy grabbing. I freeze or put leftovers from different meals into other jars. We even use the jars to drink our water, beer, and tea. They all get washed together and then we have a good stock so we can shift their purpose according to what we need at the moment. A nice large, shallow mixing bowl works for so many things. You can hand mix breads and other baked goods. I like to chop up all my veggies and then hand mix my veggie burgers in the bowl. Big salads can be tossed together in a huge bowl. Sometimes we even just use ours to serve. Add your must-haves in the comments!